This is a world wide web site dedicated to those who remember the 1980's Kids TV show Funhouse. Sometimes known as Uncle Sam's Funhouse. 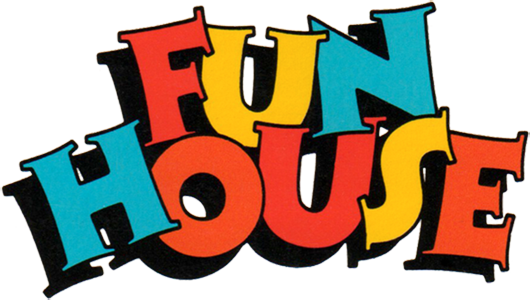 Funhouse was broadcast for over two years around 84 to 86. Nothing on the WWW looks like it has been written about it so we are here as fans of the show to talk about and remember it. It is over 10 years since Funhouse was on our TV's and we think it is about time for a revival folks! Funhouse was a wholesome Kids show that showed the best of America. It was funny and educational and was also admired by many elders and parents who sat down to watch it with their children. Uncle Sam - played by Chuck Bentos - was a real hoot and he got up to all kinds of mischief. The kids in the show, Martha, Delroy, Ernesto, Mandy and Elliot were great little actors and it is hard to believe that we never got to see them as grown up actors in the movies and regular TV. My friend Bud from San Francisco reckons Delroy became a dentist or a doctor and Elliot worked for a fancy bank or something, but we don't know diddlysquat about what happened to Mandy, Ernesto and Martha. Do you any of you folks have video tapes or even DVD's of any episodes? We have searched video stores for tapes but just can't find anything. Also, if you remember which network produced the show it would be real helpful. Learn How To Be Y2K ready! This is the Electronic Mail (e-mail) address you can reach us on. Please share your stories with us! We put them below. billygreenhero@aol.com wrote, “Used to hear classmates talk about it but never got to see it. It seemed to have a kinda cult following. There were some good and real inventive television shows back in the 80's. Gail_hunterreed@neocities.org from Quantico writes, “Funhouse was on army base TV, like a public broadcasting thing. I never really liked it and thought that Uncle Sam was pervy. One thing from your other commentor. Yes, I remember it as BerenSTEIN Bears, also STAR WARS. What color was C3 PO? I remembered him as being all gold, but look again. He’s got a SILVER LEG! I ain’t kidding. I laughed out loud for never noticing this before.” Stevie Bennet writes from Michigan, “I just checked out 007 and Jeez! Yes, Dolly always had braces. Very strange. Far as Uncle’s Funhouse goes, can’t remember ever seeing it but another great show from the Eighties was Runners, about some kids being chased through the galaxy. Sci fi.” Juliemcenroe@geocities.com wrote, “Mind blown. It was always BERENSTEIN BEARS. I read all those books as a kid. Have they just changed the name without telling anybody, like rebranding? This may sound a little weird as well but didn’t Kit-Kat always have the middle dash? Now it seems that it’s spelled Kitkat without it. I don’t remember it like that.” Linopool.jamieson@homstead.net wrote, “Reading your website and just for fun I thought I’d take a poll in our office. I asked 18 people whether it was Berenstein or Berenstain bears and 18 said Berenstein. Out of 10 people who see Moonraker movie, 10 said Dolly had braces on her teeth and that is why Jaws fell in love with her. A few said she was really hot though.” pauly.joopiter@gravelservices.com from Santa Monica writes, “Funhouse was yes for Army kids, I used to see it when I was visiting my cousin. She was terrified of it and yes, it was creepy and weird. They had a section where the gross old bald dude would hypmotize the kids and make them do stuff. Always found it odd but couldn’t really pin point it. A lot of shows back then were kind of strange don’t you think?” Fisherman 1612 wrote, “You’re not gonna like what I’m saying but Uncle Sam’s Funhouse was part of a military intelligence psychological experiment on children. I know this because my Father worked for the CIA. Keep looking into it and you will find out. I do not want my email address printed thank you.” jefferson.lindy@timescapecomms.us writes, "I do remember Uncle Sam's Funhouse but don't know anybody else who does. I thought I had imagined it. This is an interesting website. Keep it up." Fisherman 1612 wrote, “You’re not gonna like what I’m saying but Uncle Sam’s Funhouse was part of a military intelligence psychological experiment on children. I know this because my Father worked for the CIA. Keep looking into it and you will find out. I do not want my email address printed thank you.” Orlando from Vermont writes, “Chuck Bentos served in Vietnam before becoming an actor. He was a badass in real life allegedly. I never saw this Funhouse show but if he was the star I’ll bet it was cool.” fray19.gerry@netscape.net says, “Got one for ya’all. OK, in Star Wars, Darth Vader says to Luke “Luke, I am your Father!” right? Wrong, he actually says, “No, I am your Father. WHAT???? Check it out. I’ve seen that movie maybe fifty times and never once have I heard Vader say it like that. What the f**k is going on?? ?” Yonny from Atlanta wrote, “Ah Funhouse. We loved that show growing up. My folks were stationed at Fort Benning. I’m thinking now it must have only aired for the kids of service personnel. I saw what someone wrote about Berenstein Bears and was blown away. I would swear it was always called that. The C3P0 leg is unbelievable too. I got one for ya: CUP O NOODLES is actually CUP NOODLES. I’m noticing a lot of things I remembered different.” Juliemcenroe@geocities.com wrote, "This Berenstain Berenstein thing is really getting to me now. I would bet everything I had on it being Berenstein. 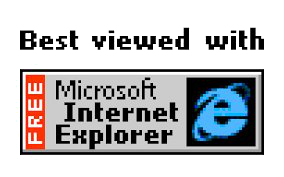 Gordon_jessop@geocities. net wrote, “There have been many disturbing experiments carried out by the US armed forces. Project QKHILLTOP. Copied this word for word from a book I have. “1954, the CIA developed an experiment called Project QKHILLTOP to study Chinese brainwashing techniques, which they then used to develop new methods of interrogation. Leading the research was Dr. Harold Wolff of Cornell University Medical School. After requesting that the CIA provide him with information on imprisonment, deprivation, humiliation, torture, brainwashing, hypnoses, and more, Wolff’s research team began to formulate a plan through which they would develop secret drugs and various brain damaging procedures. According to a letter he wrote, in order to fully test the effects of the harmful research, Wolff expected the CIA to “make available suitable subjects.” Another on was, “In the 1960s, Dr. Lauretta Bender of New York’s Creedmoor Hospital began what she believed to be a revolutionary treatment for children with social issues — electroshock therapy. Bender’s methods included interviewing and analyzing a sensitive child in front of a large group, then applying a gentle amount of pressure to the child’s head. Supposedly, any child who moved with the pressure was showing early signs of schizophrenia. Herself the victim of a misunderstood childhood, Bender was said to be unsympathetic to the children in her care. By the time her treatments were shut down, Bender had used electroshock therapy on over 100 children, the youngest of whom was age three.” There is also MK Ultra and Project Artichoke. I would not be surprised if this TV show was part of it all, especially with Military children involved.” Baker.Joan409/21@aol.com wrote, "Uncle Sam's Funhouse was wonderful. I don't understand what people are saying. It was just a kids TV SHOW FOR CRYING OUT LOUD. The kids, especially Delroy and Elliot were terrific and Chuck Bentos was always really scary but not in a bad way. I've not seen any videotapes of it but some must exist." Hudsonmotor@info.altavista.net wrote from Austin TX, "Check this out! I bet as a kid you have to admit you have always went around saying MIRROR, mirror on the wall!" I was Snow White for Halloween when I was younger and I have a video of myself saying it the "wrong" way. It is actually MAGIC mirror on the wall. Who knew? Berenstein has ALWAYS been Berenstein not STAIN!" Cheppo from Newport says, "Yes, Uncle Sam's Funhouse was the freakiest s**t I've ever seen in my life. Scared the crap out of me as a kid, and yes, I'm the son of a retired US Army Captain. I'm positive kids actually got hurt in the filming of that show. Not right." Tonkamountainman@aol.com wrote, "Dolly now not wearing dental braces is genuinely disturbing me. I have seen all the Bond movies dozens of times on tv and videotape and at the movies and I am telling you she used to have braces. How the hell could this happen? Can they go back and change the film or something? I'm lost!" Gordon_jessop@geocities.net wrote,"Here is more I found out about, "In 1943, the U.S. Navy exposed its own sailors to mustard gas. Officially, the Navy was testing the effectiveness of new clothing and gas masks against the deadly gas that had proven so terrifying in the first World War. The worst of the experiments occurred at the Naval Research Laboratory in Washington. Seventeen and 18-year old boys were approached after eight weeks of boot camp and asked if they wanted to participate in an experiment that would help shorten the war. Only when the boys reached the Research Laboratory were they told the experiment involved mustard gas. The participants, almost all of whom suffered severe external and internal burns, were ignored by the Navy and, in some cases, threatened with the Espionage Act. THE WEBMASTER writes, "If you do not want your e-mail address showing please say so in the body of the e-mail you send. Thanks, Kyle." Torchy@webcrawler.net says, "Chuck Bentos never appeared in a programme called Funhouse. I know because my sister is the president of his international fan club. You are all getting yourself confused and mixed up with something else." Camseaercherboy@aol.com writes, "The Dolly from Jaws thing is totally bogus. I KNOW SHE HAD BRACES ON HER TEETH. Me and my now wife once went to a Halloween ball dressed as Jaws and Dolly from Moonraker. I don't remember Uncle Sam's Funhouse for what it's worth. Interesting websight." laylamorris1962@lycos.com writes, "I remember Uncle Sam's Funhouse but wish I didn't. It was soooo weird and dark for a kids tv show. Johnson Briggs from Bridgemouth says, "“I cdn'uolt blveiee taht I cluod aulaclty uesdnatnrd waht I was rdanieg: the phaonmneel pweor of the hmuan mnid. Aoccdrnig to a rseearch taem at Cmabrigde Uinervtisy, it deosn't mttaer in waht oredr the ltteers in a wrod are, the olny iprmoatnt tihng is taht the frist and lsat ltteer be in the rghit pclae. The rset can be a taotl mses and you can sitll raed it wouthit a porbelm. Tihs is bcuseae the huamn mnid deos not raed ervey lteter by istlef, but the wrod as a wlohe. Scuh a cdonition is arppoiatrely cllaed Typoglycemia… amzanig huh? Yaeh and you awlyas thguoht slpeling was ipmorantt. Aemn!” Carloswilliams@netscape.net wrote, "I can tell you without a doubt that Dolly had braces in that movie and Berenstein Bears has always been spelled that way." topperkrunchy989-sky@altavista.com writes, "I always thought Funhouse was some kind of mindf**k control thing. I was raised at the Presidio base in SF and we were made to watch it. Yes, made to watch it. I've never talked about it until now but I really do believe that we were being mind controlled for some reason." Delroy Daniels from LA wrote, “I was one of the kids that starred in Funhouse. If you knew only the real story behind it you wouldn’t be celebrating anything to do with it!” viola.frenchy116@webrcrwler.org writes, "I am astounded! I worked at Barnes & Nobel for nearly ten years and I can state that The Berenstein Bears books have changed name. The thing is, you can call the publisher and they insist they have always been called Berenstain. This is beyond uncanny. So too the thing with Dolly's braces in Jaws. Here's another one. Some of us might know the famous character known as Rich Uncle Pennybags, also known to many as Mr. Monopoly or Monopoly Man. Many carry the idea or image that it is illustrated with a monocle, the truth is that it has never been illustrated with a monocle. I'm not going crazy am I? Serious question." Xavyy_kleeneze@aol.com from Trenton NJ wrote, "OK, I'm a film buff and there is no way Dolly was not wearing braces when she met Jaws in that scene. Check this out as well. "Picnic at the hanging rock" is an eerie Australian movie from 1975, set in 1890 about three school girls who disappeared on a school trip to a rocky hill area called hanging rock. When this movie is discussed, people keep saying that when they watch the movie now, they felt disappointed that the extremely creepy scene of a teacher walking strangely down the hill was cut out. Some even went on to claim that it was the creepiest seen they have ever seen in a movie. The actual fact is that this scene never actually existed. Rent it out if you remember the original version. You'll be shocked, I promise you." Westypaul-untermeyer@lycos.com writes from Yonkers,"There was a story in some magazine couple of years back, 93 I'm thinking, that talked about people remembering a show called Funhouse with some creepy old dude in it. I'll try find it. I do remember thinking the article was odd at the time." LouLou/channing@Lucispharma.com writes, "the 1994 movie titled “Forest Gump”. This movie had a famous line which says “Mama always said life IS like a box of chocolates. You never know what you’re gonna get.” Well if you watch the movie now, what it says is “My mama always said life WAS like a box of chocolates. You never know what you’re gonna get.” The book Norwegian Wood by Haruki Murakami, first published in Japanese in 1987, and in English in 1989, has the following: “Just remember, life is like a box of chocolates.” Pretty much confusing how many of us got the line all wrong, uh?" Zapperthefourth@timescape.net wrote, "Uncle Sams Funhouse was called what's known as a PSYOP. Look it up on the interwebs!" rapturedawake@aol.com from Pheonix, AZ writes, "black magic and computers are working together to corrupt our Bibles. They are preparing the way for the antichrist and the one world religion. We’ve always known Bibles could be damaged by fire, water, and even a dog (they do like homework), and now our Bibles are being damaged through this evil technology. It’s not just our Bibles being changed. Concordances, encyclopedias, fiction and non-fiction books, movies, music, paintings, files, maps, and so much more are being affected. They are REWRITING history, just like Orwell’s 1984. It’s crazy and highly disturbing to see our Bibles change. The solace is that we know that no matter what happens to the Bible, Jesus Christ is the same yesterday, today and forever, and His Word is forever settled in heaven no matter what these wicked ones do to the Bible. Here are just a few examples: (1) Luke 6:49 (KJV) 49 But he that heareth, and doeth not, is like a man that without a foundation built an house upon the earth; against which the stream did beat vehemently, and immediately it fell; and the ruin of that house was great. Was sand, and stream was flood. (2) Job 19:23 (KJV) 23 Oh that my words were now written! oh that they were printed in a book! Was written on a scroll. Note: Johannes Gutenberg was the inventor of the printing press. Indeed, the German goldsmith’s 15th-century contribution to the technology was revolutionary — enabling the mass production of books and the rapid dissemination of knowledge throughout Europe. Job was written over 3,000 years ago. There were no printed books. (3) 1 Peter 4:8 (KJV) 8 And above all things have fervent charity among yourselves: for charity shall cover the multitude of sins. Was: love. (4) 1 Corinthians 16:15 (KJV) 15 I beseech you, brethren, (ye know the house of Stephanas, that it is the firstfruits of Achaia, and that they have addicted themselves to the ministry of the saints,) Addicted used to be devoted. (5) Genesis 4:21 (KJV) 21 And his brother’s name was Jubal: he was the father of all such as handle the harp and organ. Organs were not invented yet. The correct word here is:lyre."